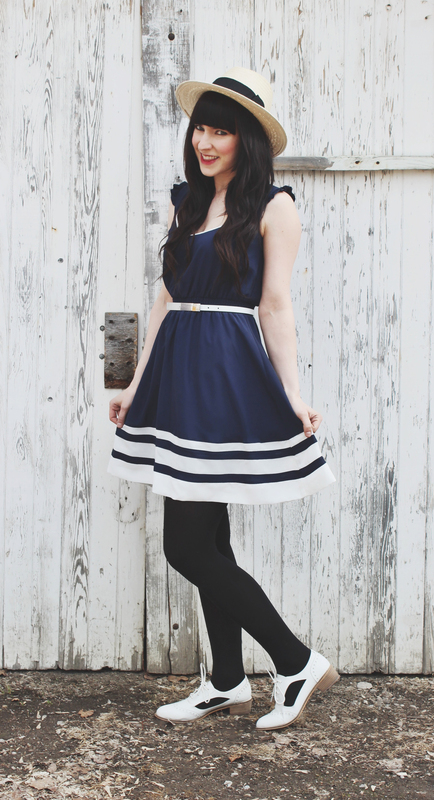 It’s no secret that I love nautical styled clothing and I love this dress! Last summer I would walk past it in the window at Jacob quite frequently and one day I just had to go in and try it on. Needless to say it is now part of my wardrobe and is something that will probably be there for a long time. I can’t say that about everything in there. 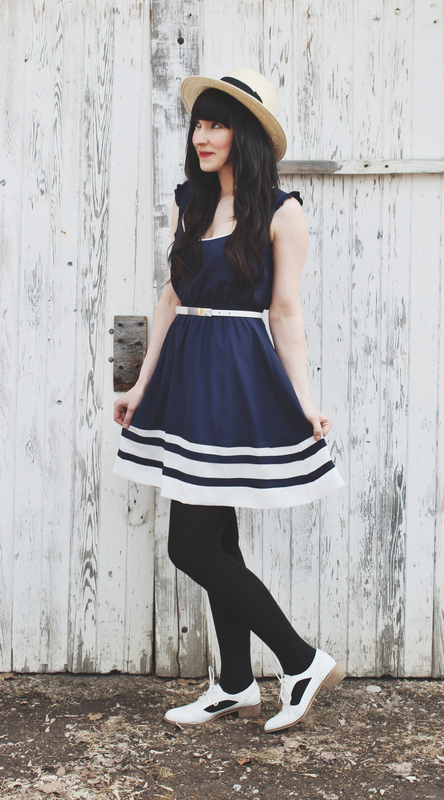 When you find an item that is classic, pretty and fits well it’s always a good investment! 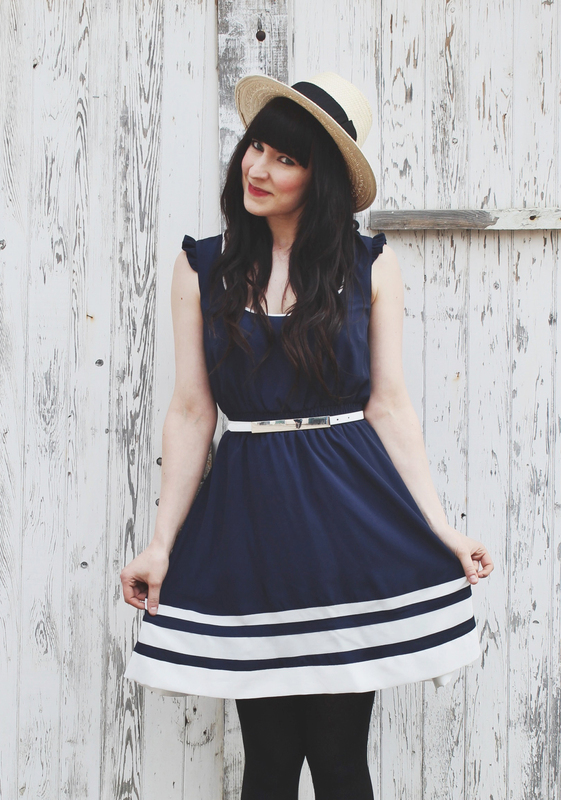 To finish off the outfit I added a straw hat, something that is perfect for summer. 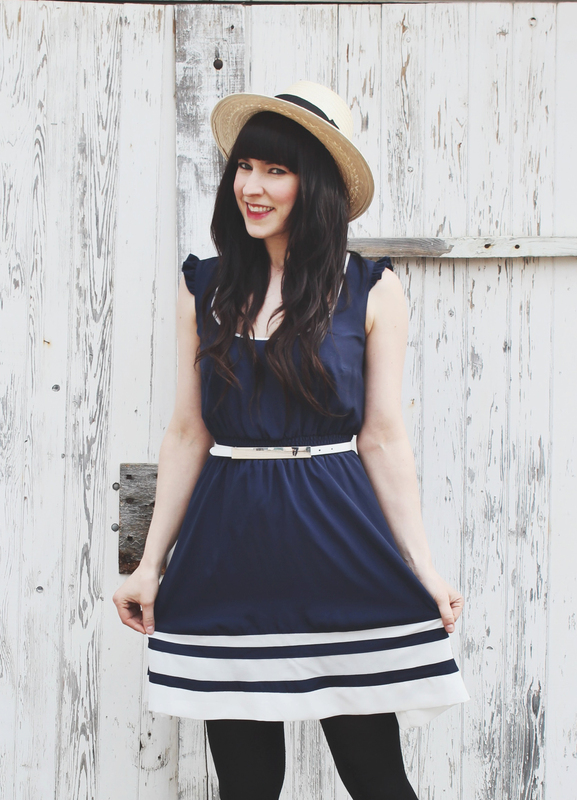 There are tons of options out there when it comes to straw hats but this one from H&M was my favourite. 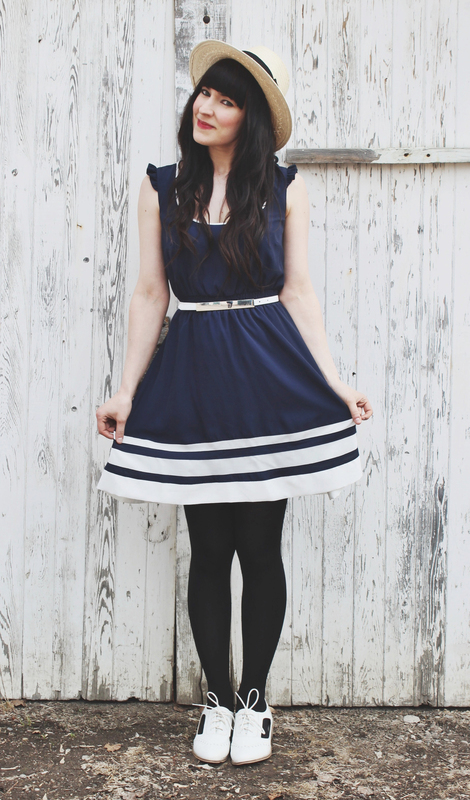 I also paired it with my favourite Shelly’s London flats. They are just so cute and versatile! This outfit is so perfect!!! Lovely!!!!! !